Considering Florida has such beautiful year-round weather, it is unsurprising that boating is such a popular recreational activity. For Florida residents and visitors alike, there are a few things that sound more relaxing and enjoyable than a day out on the water whether engaging in water sports such as fishing or simply hanging out and enjoying the view. However, Florida also leads the country in the number of boating accidents which is already being reflected in recent news reports as the height of spring quickly approaches. Wink News recently reported that a woman died after being fatally struck by a boat propeller in the head at Lani Kai Island Resort on Fort Myers Beach. Sadly, the exact same day, authorities responded to a boat crash that left a man dead. He was reportedly boating by himself when he was ejected from the boat after colliding with mangroves in Hendry Creek. 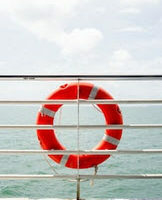 How Common Are Boating Accidents? According to an annual report published by the U.S. Coast Guard, in 2016 alone there were 684 boating accidents in Florida. Unfortunately, this substantial number represents an increase from the 671 boating accidents that occurred here the year before. How Often do These Accidents Cause Injuries? The Florida Fish and Wildlife Conservation Commission issued a report indicating that in 2017, there were 437 injuries that occurred as the result of boating accidents. And even more tragically, 67 people who were injured in a boating accident died of those injuries. Sixty-three percent of boating accident victims were not wearing any kind of personal flotation device such as a life jacket at the time they were injured. And most of these injuries happened to boat occupants who were not operating it. What Kind of Injuries Can Boating Accidents Result in? What Kind of Behavior Causes Boating Accidents? How Can You Prepare Ahead of Time? Check the forecast before heading out. Avoid using alcohol before operating the boat. Ensure there is a life jacket for everyone – and that everyone puts one on before climbing on board. We understand how difficult it is to be injured in an accident because of someone else’s negligence while simply trying to enjoy a recreational activity. Fortunately, we can help you hold the responsible parties accountable while you focus on recovering. Contact the experienced Fort Myers personal injury attorneys of The Pendas Law Firm today and we will help you recover the compensation you are entitled to. The Pendas Law Firm also represents clients in the Tampa, Fort Lauderdale, Orlando, Miami, Daytona, Jacksonville, and Bradenton areas.